Platinum Hydrowhey – Advanced Hydrolyzed Whey Protein! 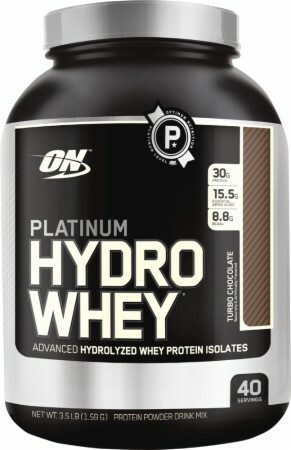 Platinum Hydrowhey was recognized by thousands of Bodybuilding.com customers as 2010’s New Supplement of the Year. What else would you expect from Optimum Nutrition’s, fastest, purest and most advanced protein technology? After Workouts: Platinum Hydrowhey® mixed with iced coffee + Glycomaize + Glutamine Powder. Why? At no other time throughout the day are your muscles as receptive to nutrients as they are post-workout. Fast-acting proteins, free form amino acids, and quickly digested carbohydrates provide building blocks for rebuilding and replenishment. * Recent research also suggests that a shot of caffeine (in this case, from the iced coffee) may also help facilitate greater glycogen resynthesis, which means you’ll be ready to go for your next workout.